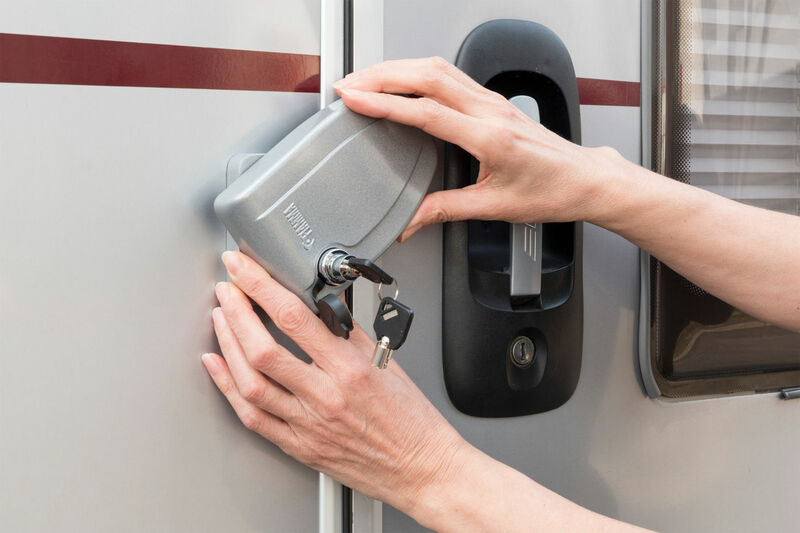 The Fiamma Safe Door is a very strong and practical security device that pivots across the door of the motorhome or caravan to prevent unauthorised access. 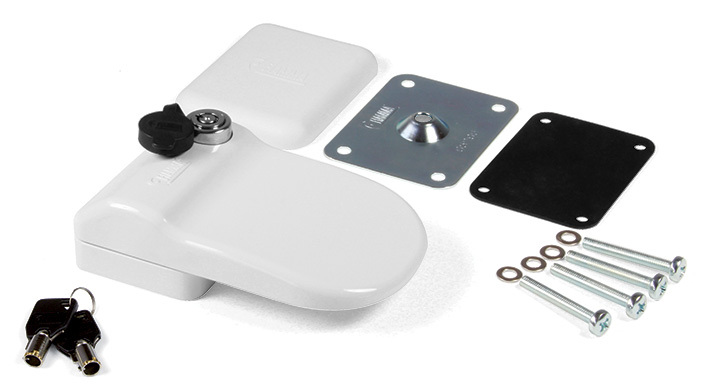 Can be fitted to any caravan or motorhome door. 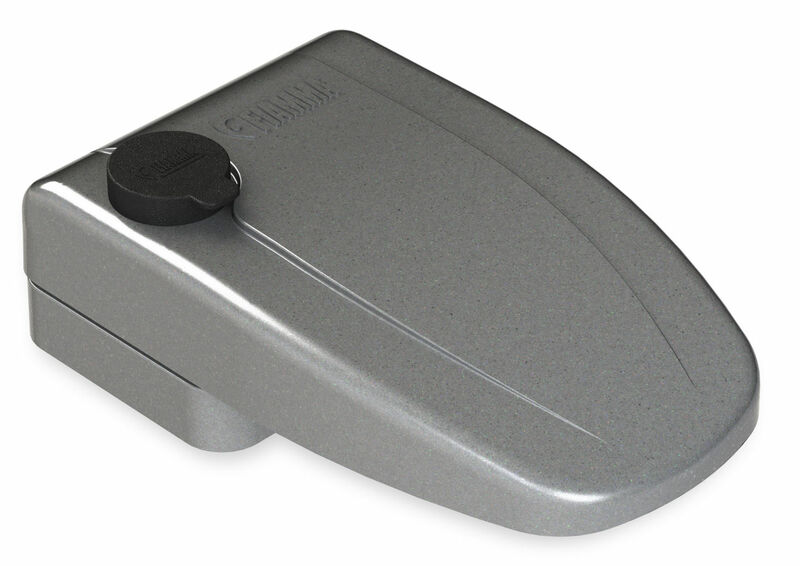 Also available in practical and convenient pack of 3, each security device supplied with the same key. 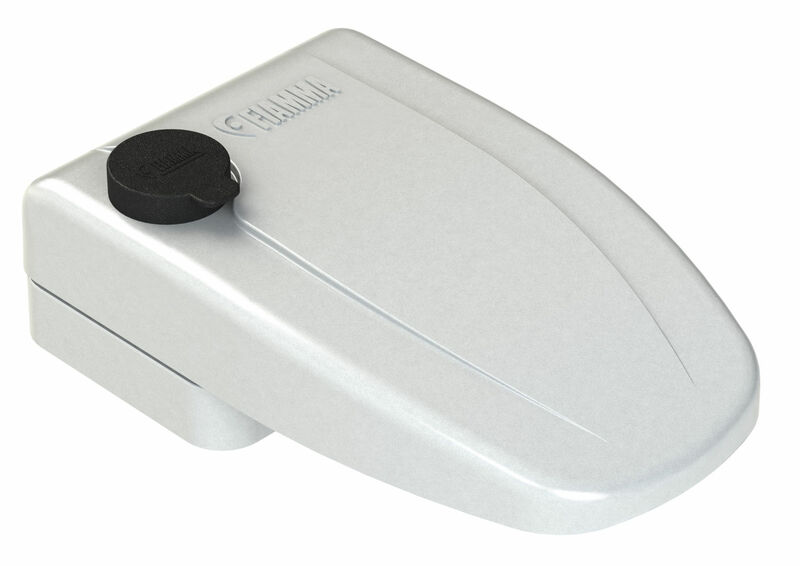 It is made of sturdy anodized aluminium without plastic parts and is fitted with a high security barrel lock. 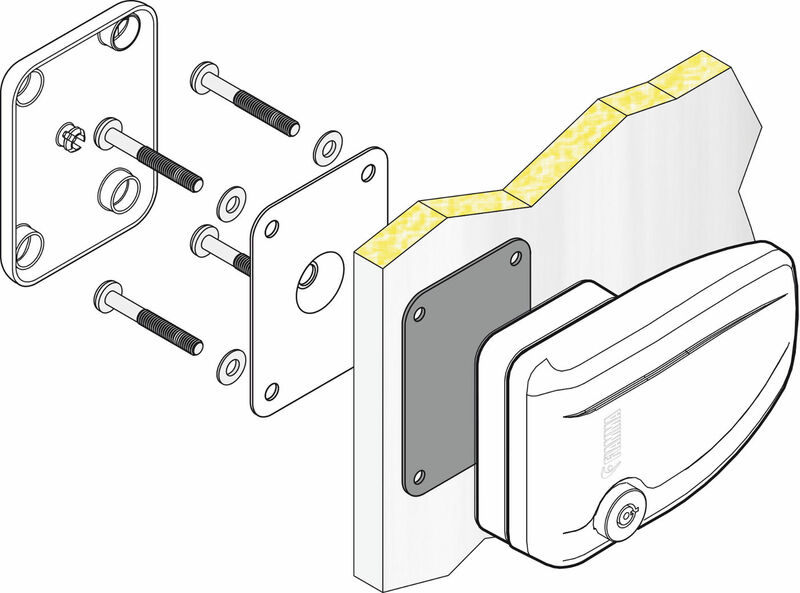 It can be easily installed with bolts and internal counterbrackets. Right or left hand installation is possible. 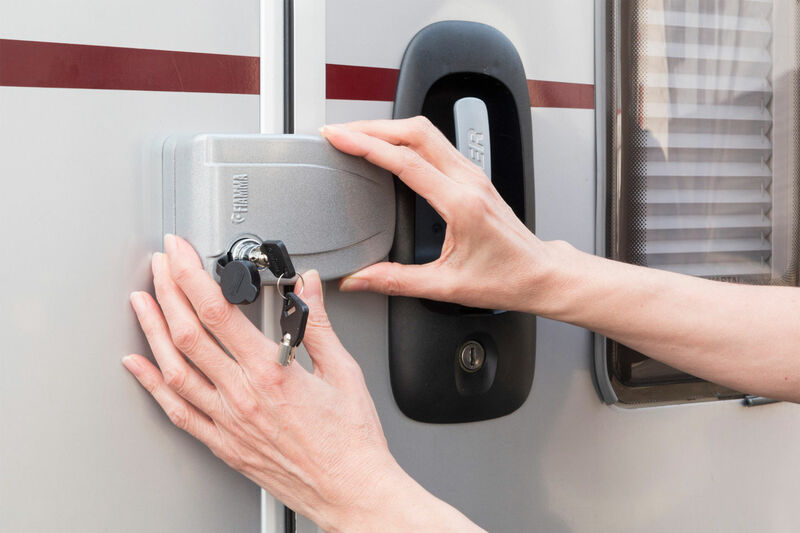 Furniture and fixtures on the inside of the motorhome may prevent easy installation of the Fiamma Safe Door. In these cases an alternative Safe Door product called Safe Door Frame may be more suitable? 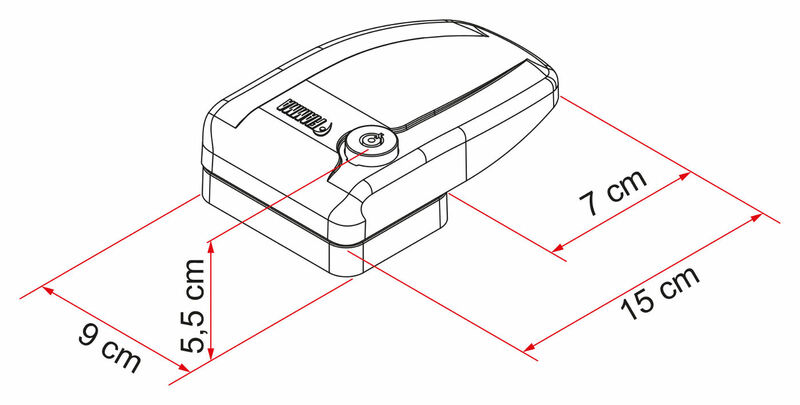 Also available in practical and convenient pack of 3, with each security device supplied with the same key number. The Fiamma Safe Door can be used on any door including garage or gas locker, if you choose to fit 3 devices and do not want the confusion individual keys might cause, the Safe Door Frame 3 pack is for you. 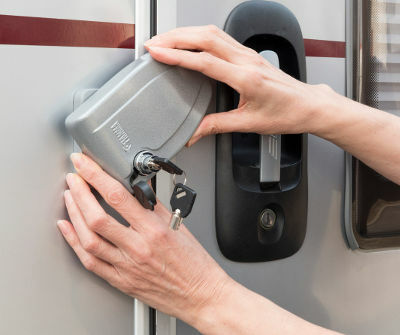 To reduce the gap that may exist between the Safe Door and the body of the caravan or motorhome it is possible to purchase a kit containing one aluminium plate and 3x spaces 2mm each. Fits only on Safe Door made after 2007 and on Safe Door Magnum after 2010. 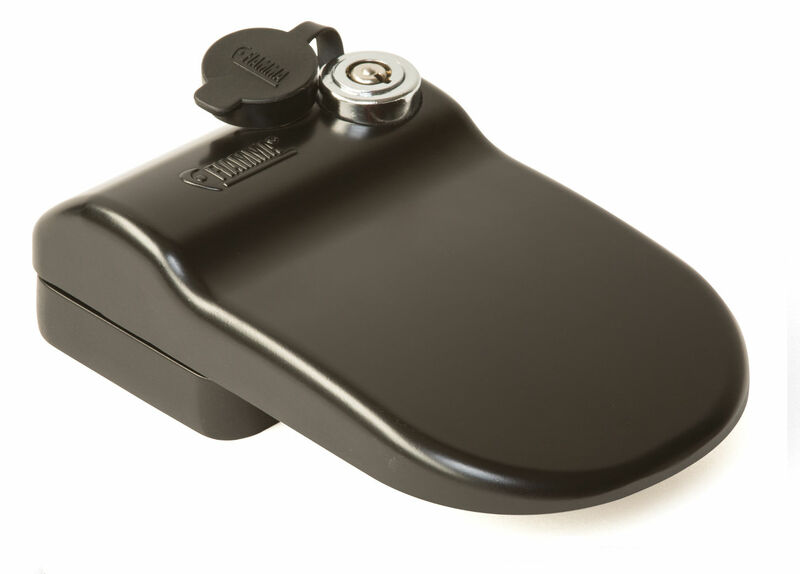 Click here to view and buy Fiamma Spacer Kit Safe Door. Dimensions cm: 15 (L) x 9 (W) x 4.8 (D).